“In the beginner’s mind there are many possibilities; in the expert’s mind there are few”. Shunryu Suzuki, Zen Mind, Beginner’s Mind. Steven Stanley teaches mindfulness meditation and mindful movement for Mindful Space and the School of Social Sciences at Cardiff University. He has been practising meditation since 2000, beginning with Qigong movement, and mindfulness meditation in the tradition of Insight Meditation since 2007. He completed a one-year MBSR/MBCT teacher training apprenticeship with Vicki Worsley at Mindful Space in 2013. Steven has attended teacher training in Interpersonal Mindfulness with Gregory Kramer, the founder of Insight Dialogue. His professional development as a mindfulness teacher is guided by the UK Network for Mindfulness-Based Teachers ‘Good Practice’ guidelines. He emphasises gentleness, kindness, and careful reflection in mindfulness practice. Steven’s teaching of secular mindfulness is deepened through his understanding of ancient traditions. He completed a two-year Committed Dharma Practitioner Programme at Gaia House/Sharpham House (2011/2012) which explored the Buddhist roots of mindfulness meditation, taught by respected meditation teachers including John Peacock and Christina Feldman (who taught the founder of MBSR Jon Kabat-Zinn and the founders of MBCT Mark Williams and John Teasdale). In 2014, Steven completed the Pali Summer School at the Oxford Centre for Buddhist Studies (Oxford University) where he began to learn the ancient language in which the earliest teachings about mindfulness meditation were originally documented around two millennia ago. 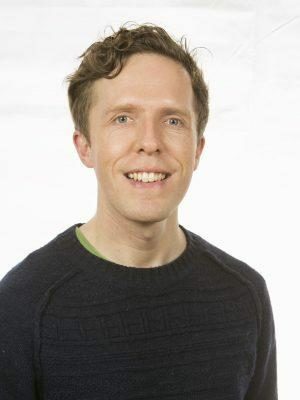 A social psychology lecturer since 2003, Steven brings a nuanced understanding of mindfulness research and the application of mindfulness in various social contexts (e.g. health, education, business). He collaborates on mindfulness research with colleagues at the Centre for Mindfulness Research and Practice (Bangor University) and the Oxford Mindfulness Centre (Oxford University). He regularly speaks at international mindfulness conferences to audiences of counsellors, psychotherapists, and psychologists. Steven is experienced in communicating complex ideas in an accessible and ordinary language to the general public, professional practitioners, and university students of psychology and social work.